Fighter plane of Soviet origin, Yakovlev Yak-3, represented the top of the development of a light fighter plane of high performance and great maneuverability, created by designer Alexandar S. Yakovlev, whose essential slogan was "simplicity doesn’t mean backwardness”. The plane’s first flight was performed in October 1943. and series production started in March 1944. 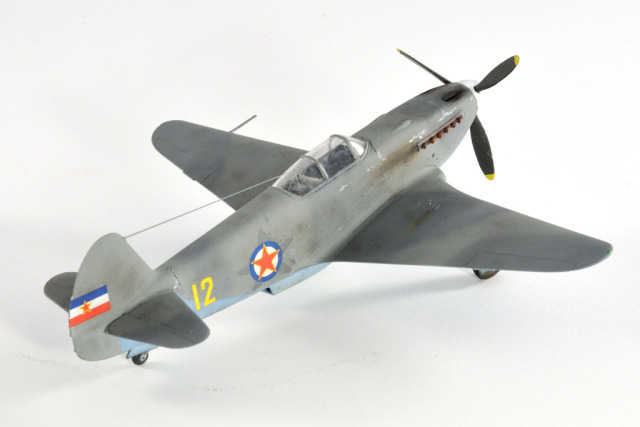 Combat baptism Jak-3 had on 16th July 1944, and it was the best Soviet fighter plane in the W.W. II. In May 1945 there were manufactured 4.560 planes, and until the end of 1946, when production ceased, 4.848 fighters Yak-3. In addition to the British who helped in the creation of partisan aviation, help came from the Soviets. After the liberation of Belgrade, many former pilots exceeds aside Partizan, former pilots, engineers, mechanics and workers from the factory pre-war aircraft. 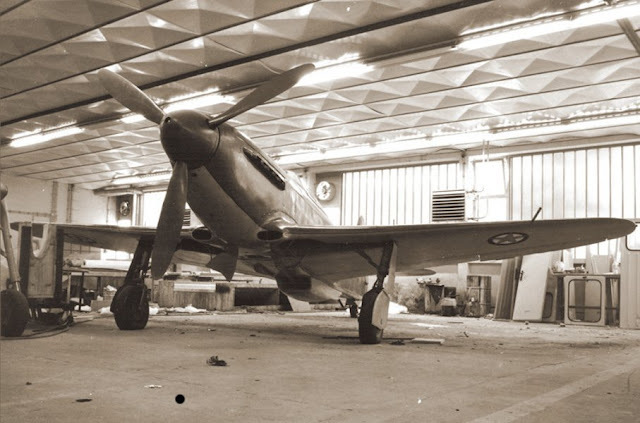 So to create new units, fighters, and assault, as well as workshops for an overhaul of aircraft and equipment. With the Soviet Union has concluded an agreement on the transfer of two complete Aircraft Division with planes and background units. Over 250 aircraft, 500 vehicles, and workshops for the repair and overhaul of aircraft. Training begins on 10 December 1944 for fighters on JAK-1 and JAK-3 aircraft in Rumi, and for aircraft fighters in IL-2 in Zemun. Two of these were formed by two assault and fighter divisions. Comparing with aircraft of western origin, Jak-3’s structure was obsolete. The fuselage of truss type construction of welded steel tubes, covered by plywood, the wing also wooden, except a metal boom. But, it didn’t influence its characteristics. For a full horizontal 360° turn plane needed only 18 seconds, and a Yak-3, equipped by a much stronger engine of 1.324 kW (1.800 hp), achieved a speed of 745 km/ph, thus became the fastest Soviet piston engine fighter.